Dr. Wong earned his DDS degree from the University of Pacific School of Dentistry in San Francisco in 1986. He completed two years of prosthodontic training at the University of Michigan, Ann Arbor. Since 1988, he has been in private practice in San Diego, California. Attention to details, professionalism, dedication and straightforwardness are Dr. Wong’s trademark features. To stay current with new dental technologies and clinical techniques, Dr. Wong regularly takes continuing education courses and participates in professional seminars. 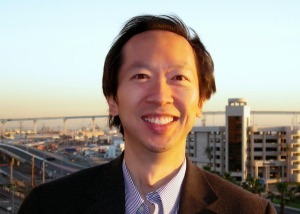 Dr. Wong is a Member of American Dental Association, California Dental Association and San Diego County Dental Society. When he is not working in his office, Dr. Wong enjoys an extensive fitness routine and a newly acquired interest in culinary arts. Once a year he travels to Europe, his favorite places to visit are northern Spain and southwestern France.